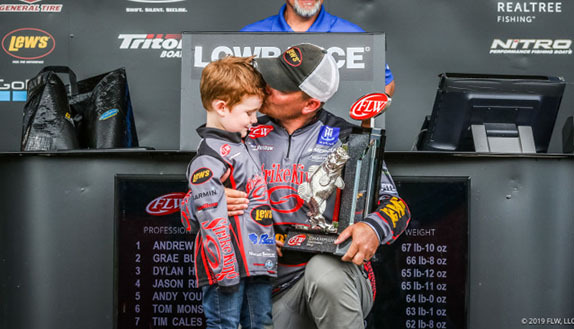 Jesse Wiggins capped off a dynamite 2017 season with a Bassmaster Open win at Smith Lake, his third career Open win and second at Smith. 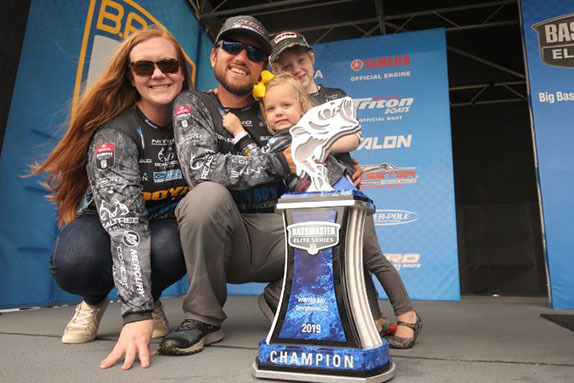 About this time last year, Jesse Wiggins was nervously and excitedly awaiting the start of the 2017 Bassmaster Elite Series season. He�d saved up enough money to finance the first part of the season and he was hoping to use whatever tournament winnings he collected to carry him through the balance of the season. He didn�t know what to expect, but he darn sure didn�t see this coming. 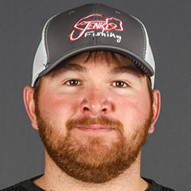 > He cashed checks in seven Elite Series tournaments and wound up 37th in Angler of the Year points and fourth among rookies. 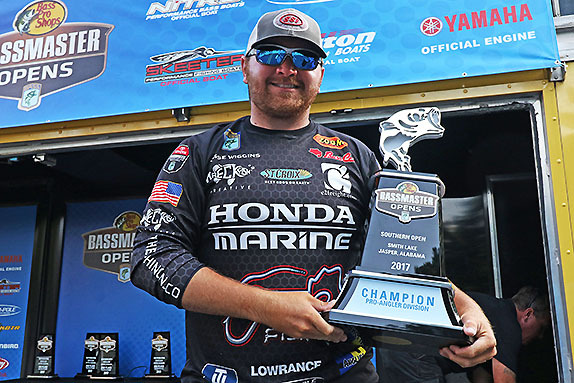 Suffice to say, things went way better than Wiggins anticipated and he capped it off last week with another Southern Open win, this time at his home waters of Smith Lake, where he won a Southern Open last year. His 3-day total of 39-15 was right in line with what he figured it would take to win and he wound up beating several current and former tour-level pros for this third career Open victory. He said the latest triumph is special because he got to end a special season on a high note. �The one I won last year, I knew I needed to win it in order to fish the Elites,� he said. �I wasn�t nervous, but more was on the line. This one was an opportunity to earn some money and end the year on a good not. I knew if I fished what I knew I�d get a couple of opportunities to catch some decent fish. I capitalized on all but one and it worked out. 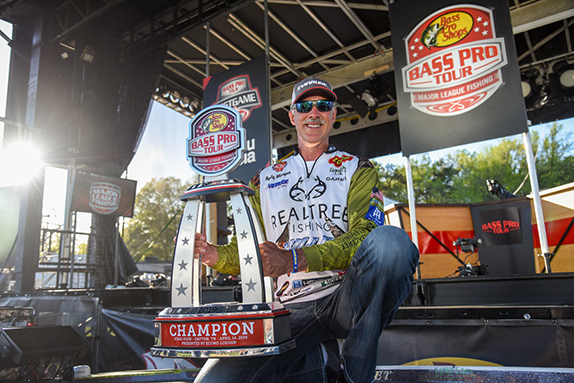 Wiggins, a native of Addison, Ala., says any time he competes at Smith he fishes to win. Last week, he opted to stay away from the deeper fish suspended over and around points. He knew from past experience that boat traffic and fishing pressure can spook those fish. Instead, he focused on docks and rocky banks ��classic shallow patterns at Smith � and mixed in some deeper points that no one else was fishing. Past experience in the fall at Smith helped Wiggins formulate his game plan for the Open. He and brother Jordan have competed in the Smith Lake Park Bass Fest tournament, held in early October. They won the tournament in 2014 and netted top-5 finishes each of the last two years. When he started practice last week, he tried some deep-water areas and had little to no success. He put in three days of practice immediately before the tournament. He and Jordan shared information on what they found. Both concluded the shallow bite would trump the deep bite. �We think the exact same way on that lake,� Jesse said. �In team tournaments, we both think about same the place before we talk about moving. Their hunch was that the suspended fish would receive the most fishing pressure so they decided to focus on other options they knew once competition got started. Jesse, however, did locate one point that wasn�t being fished that proved productive in the tournament. When competition began last Thursday, Wiggins started his day with a decent keeper off the point he had to himself then added two more on a buzzbait. Once the sun got high enough, he threw a shaky-head around shallow docks with 2 to 7 feet of water and brush around them. He also threw a square-bill crankbait parallel to rocky, channel swing banks toward the back of a creek arm. �Just 45-degree banks with chunk rock on them,� he said. He said the 80-degree water is typical for this time of year, but he still had to grind out bites. He finished the day with eight keepers and tallied 15-02. �I was very happy with that start,� he added. He followed the same plan on Friday, only he waited to hit docks until about 11 a.m. It turned out to be more of a grind as he collected just six keeper bites. He fished all new water with his buzzbait ��rocky banks and isolated laydowns. �Anything with shade,� Wiggins said. His afternoon cranking program saw him rely on a few stretches that held fish each day. Still, his 11-05 was enough to push him into the lead entering the final day with a 26-07 total. He went out on the final day with designs on catching 17 pounds and running away with the win. He said he lost a couple more fish that would�ve put him in that neighborhood. His early-morning stop on a deep point yielded two quality keepers that took some of the pressure off. From there, he rode his shaky-head and shallow cranking strategy to the win with 13-08 on day 3. �All three days, I kept my boat in shallower water and it worked out,� he added. > Buzzbait gear: 7� medium-heavy St. Croix Avid X casting rod, Shimano Curado 70 casting reel, 50-pound Seaguar Smackdown braided line, 1/4-oz. Cumberland Pro Lures buzzbait (black and white), Zoom Horny Toad trailer (black and white). > Wiggins removed the skirt from the buzzbait and threaded on the Horny Toad. > Shaky-head gear: 7� medium-heavy St. Croix Legend Elite spinning rod, Shimano Stradic Ci4+ spinning reel, 15-pound Seaguar Smackdown braided line, 12-pound Seaguar InvizX fluorocarbon line (leader), homemade 3/16-oz. shaky-head jig, Zoom Fluke Stick (green-pumpkin). > Cranking gear: 6�10� medium-heavy St. Croix Legend Glass casting rod, Shimano Chronarch casting reel (6.4:1 ratio), 12-pound Seaguar InvizX fluorocarbon line, Jenko Fishing CD15 (flaming craw). > Wiggins swapped the stock hooks on the square-bill to #4 Owner ST-36 trebles. > Wiggins now has 16 money finishes in 21 career B.A.S.S. tournaments. "I don't know of any I don't like." Jenko Fishing, Bass Cat, Honda, Lowrance, T-H Marine Products, Power-Pole, St. Croix, Shimano, Seaguar, Owner Hooks, Zoom Bait Co.
"The moment between when you feel the bite and setting the hook."